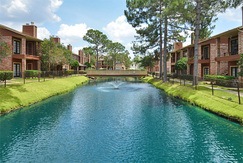 With a refreshing amenity package and impeccably designed interiors, your next apartment at The Cottages of Cypresswood offers an unrivaled living experience in Spring, TX. 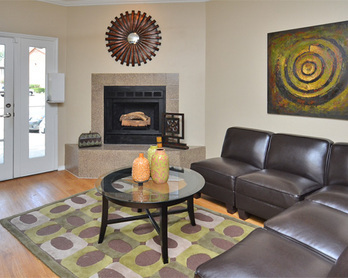 As you arrive, the community’s welcoming atmosphere and serene landscaping greets you. Adorned with towering trees and a carpet of lush green grass, the pathways lead you across the stunning grounds from one amenity to the next. After you tour the quaint catch-and-release pond and the resort-style swimming pool, tour the apartments and choose between a unique one or two bedroom floor plan. Step inside and discover stylish faux-wood flooring that leads to the gourmet kitchen. 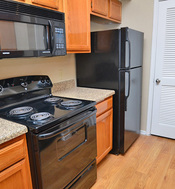 Each cooking space is a masterpiece of modern design with sleek black appliances and granite-style countertops. You can also venture just minutes from the gates of this peaceful community to The Woodlands, where you will find an array of shopping, dining and entertainment attractions. Enjoy all of these luxuries and more when you lease an apartment in Spring today.